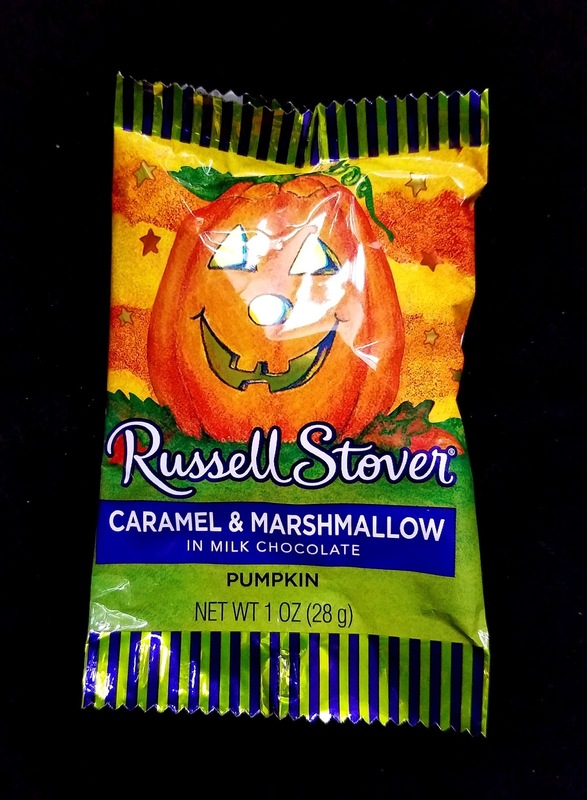 Russell Stover's Caramel and Marshmallow Pumpkin is a surprisingly nice treat. 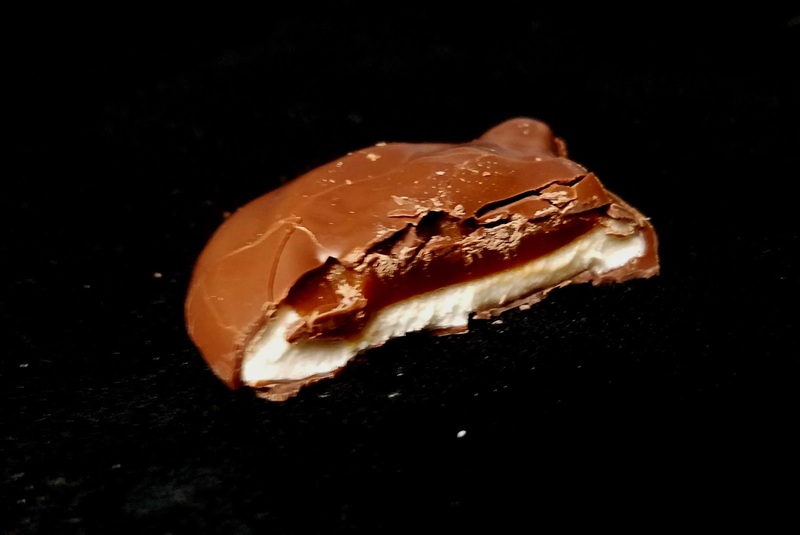 I assumed that the textures of the caramel and marshmallow might resist one another, but they actually blended beautifully, both super soft sticky. Delicious! 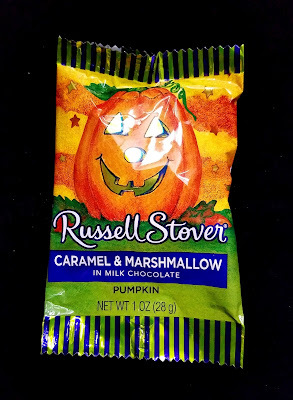 My only complaint: as this is a very delicate and potentially messy candy, Russell Stover should put a little structure in the packaging to keep the pumpkin intact. In a foil wrapper it's just too easy to crack and smoosh.